Usually, we try to post delicious and simple recipes on What’s Cooking Wednesdays. However, in honor of Halloween taking place tomorrow night, I thought that something festive which might require a bit more effort would be fitting. Let me assure you, the extra work involved in this recipe is SO worth it! Fluffy manicotti filled with savory pumpkin and creamy cheese and loaded from top to bottom with cream sauce and topped with crispy sage…. what is not to love! In fact, the next time I make this recipe, I plan on doubling it and freezing one to have on hand for later in the winter when I am craving it 🙂 Thanks so much to the folks over at Go Bold with Butter Blog for letting us borrow this recipe. Be sure to check out their blog for more great tips and recipes from them. Boil Manicotti noodles in salted water for 5-8 minutes. Pasta should still be al dente. Drain, add a Tbs or 2 of oil and mix around in the pasta to keep the tubes from sticking to each other, then set aside. Bring milk to a boil, lower to simmer, and add whole garlic cloves. Allow garlic to steep for about 15 mins, then remove from milk and discard. Melt 2 tbs of butter in another med saucepan, add sage leaves, and cook until crisp. Remove leaves and set aside to drain. Add the remaining 6 tbs of butter to melt. Whisk in flour, stirring constantly and cook for 2 minutes until a very thick paste is formed. Slowly add warm milk to the flour and butter paste, stirring occasionally so sauce doesnt burn, cook for an additional 10 mins to thicken. Season with 1/2 tsp. Salt and remove from heat to cool. Place 1/2 c. of sauce into the bottom of a 9×13 inch oiled casserole dish. Mix Ricotta, pumpkin, egg, nutmeg, salt, and 1/2 c mozzarella and pour into a large Ziploc bag removing all air. Snip off about 1/4 inch of the corner of the bag and squeeze mixture into both sides of the cooked manicotti tubes until filled. Place filled tubes tightly into casserole dish. Once dish is filled, top with remaining sauce, then mozzarella and parmesan cheese. Lastly, sprinkle crispy sage leaves over cheese, cover with foil, and bake for 30 minutes. Remove foil, and bake an additional 10 mins or until sauce and cheese is golden brown and bubbly. Enjoy! Categories: Clarksville Home Listings, Clarksville Real Estate, Clarksville TN, Homes for Sale Clarksville, Pinterest, Real Estate, Real Estate Clarksville, Recipes, TN, What's Going On Clarksville | Tags: Chris Sutton, Chris Sutton Home Run Real Estate Team, Chris Sutton Realtor, Chris Sutton Reliant Realty, Clarksville moms recipe, Clarksville TN, clarksville tn realtor, Clarksville TN recipe, dinner, Facebook, fall recipes, Food, Go with Butter, Go with Butter blog, Home Run Real Estate Team, home run real estate team clarksville tn, Home Run Real Estate Team Facebook, Home Run Real Estate Team Pinterest, homes for sale Clarksville TN, house listings clarksville tn, manicotti recipe, Pinterest, Pinterest Recipe, pumpkin and cheese manicotti, Pumpkin Manicotti, Recipe of the week, Reliant Realty, Reliant Realty Clarksville TN, Savory pumpkin recipe, weeknight recipe, What's Cooking Wednesday | Permalink. There are a few staple meals that everyone should have in their recipe box… a meal that freezes well, a great potluck dish, a quick Crock Pot recipe, and a hearty soup. There comes a time in between the beginning of fall and the end of winter whether you are coming down with a cold/flu, or you are just exhausted from the cold grey skies that await you outside. Don’t get me wrong, I love the cold weather and I await the beginning of fall like a kid awaiting a trip to Disney! There is just something so comforting about a warm cup of soup on a cold day. 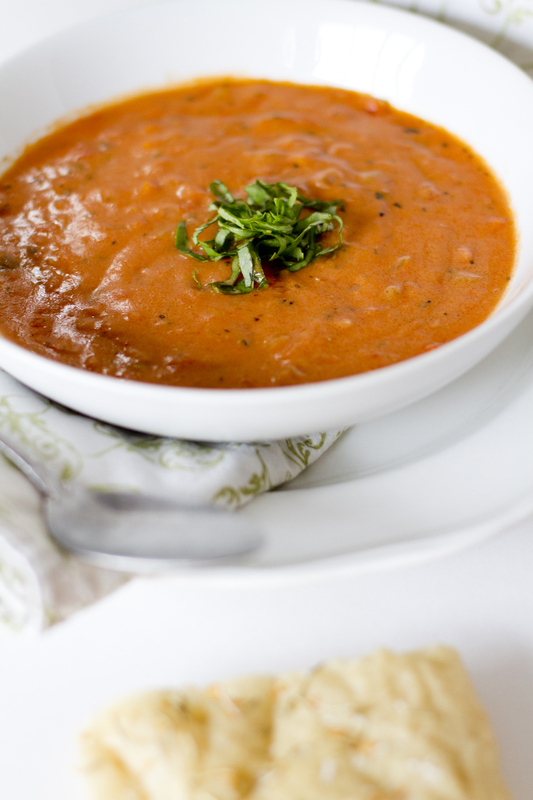 I am so confident that you will love this recipe, that I anticipate all of you will include this Tomato soup recipe in your “staples” list as I have. This recipe was found on Daydream Kitchen blog via our handy dandy search engine, Pinterest. Seriously, Pinterest has got to be the best thing for blogs since they were invented! I find all of my best recipes and tips on there. Meanwhile, in a medium pot, melt the butter over low heat, then add the flour stirring constantly for about 5 mins. This is called a roux and will serve as the thickening agent to your soup. At first, it will look like a paste, then thicken into a play-dough like substance. Slowly add in 1 c. of soup, stirring constantly, then add 3 more cups of soup 1 at a time until you have a smooth creamy mixture. Add this mixture back into your soup pot. Stir and simmer until soup begins to thicken, then whisk in the parmesan cheese and warmed half and half, salt and pepper to taste and simmer for an additional 15-20 mins. Categories: Clarksville Home Listings, Clarksville Real Estate, Clarksville TN, Homes for Sale Clarksville, Pinterest, Real Estate, Real Estate Clarksville, Recipes, TN, What's Going On Clarksville | Tags: Chris Sutton, Chris Sutton Home Run Real Estate Team, Chris Sutton Realtor, Chris Sutton Reliant Realty, Clarksville moms recipe, Clarksville TN, clarksville tn realtor, Clarksville TN recipe, Creamy Tomato and Basil Soup, daydream kitchen, Daydream kitchen blog, dinner, easy tomato soup recipe, Facebook, Food, Home Run Real Estate Team, home run real estate team clarksville tn, Home Run Real Estate Team Facebook, Home Run Real Estate Team Pinterest, homes for sale Clarksville TN, house listings clarksville tn, Pinterest, Pinterest Recipe, Recipe of the week, Reliant Realty, Reliant Realty Clarksville TN, soup recipes, tomato soup from scratch, Tomato soup recipe, weeknight recipe, What's Cooking Wednesday, winter recipes | Permalink. I don’t know about you guys, but in my house, we eat a lot of chicken… I mean A LOT! It is generally a healthy and delicious meat that everyone enjoys to put on the table for my family: So I am always searching for new chicken recipes to keep it interesting around here at dinner time. 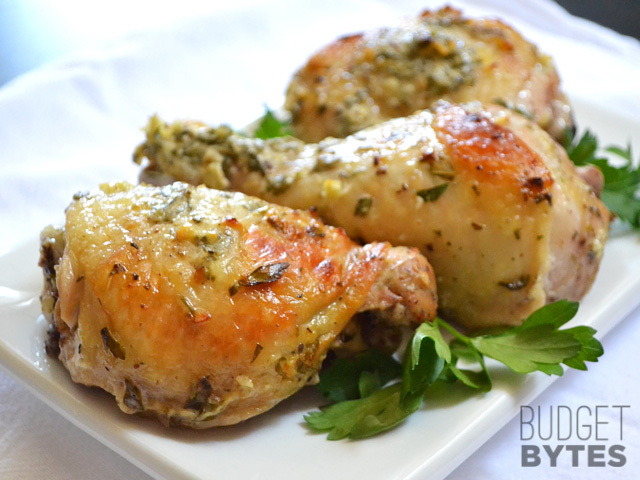 I’d like to share this recipe found on Budget Bytes blog. This lady really knows what the people want… delicious recipes that are both easy and budget friendly! Definitely make sure you check out this recipe on her blog here for more yummy step-by-step pictures and other great dinner ideas. Combine all of the ingredients in a large Ziploc bag, tightly seal, and shake or squeeze to combine ingredients. Add 3 1/2 – 4 lbs of bone-in chicken, seal bag, and turn over several times to ensure that all pieces are thoroughly coated in mixture. Place in fridge for at least 30 mins. Preheat oven to 375 degrees and bake chicken in a large casserole dish for 45 mins-1 hr. Chicken should come out golden brown and smelling of heaven! Categories: Clarksville Home Listings, Clarksville Real Estate, Clarksville TN, Homes for Sale Clarksville, Pinterest, Real Estate, Real Estate Clarksville, Recipes, TN, What's Going On Clarksville | Tags: budget bytes, budget bytes blog, Chris Sutton, Chris Sutton Home Run Real Estate Team, Chris Sutton Realtor, Chris Sutton Reliant Realty, Clarksville moms recipe, Clarksville TN, clarksville tn realtor, Clarksville TN recipe, dinner, easy chicken recipes, Facebook, Food, garlic chicken, greek marinated chicken, Home Run Real Estate Team, home run real estate team clarksville tn, Home Run Real Estate Team Facebook, Home Run Real Estate Team Pinterest, homes for sale Clarksville TN, house listings clarksville tn, Pinterest, Pinterest Recipe, Recipe of the week, Reliant Realty, Reliant Realty Clarksville TN, weeknight recipe, What's Cooking Wednesday | Permalink. Come out to Strawberry Alley to support Manna Cafe and enjoy the festivities Matey! This event will have a pirate costume contest with awards, live bands including Mike Robinson, Syd Hedrick and the Falcons, Gypsy ( a Fleetwood Mac tribute band), and Mother Earth (Santana inspired music). Be sure to purchase your chili tasting ticket to sample all of the delicious types of homemade chili and vote for the winner! All proceeds go to feeding Clarksville’s hungry. 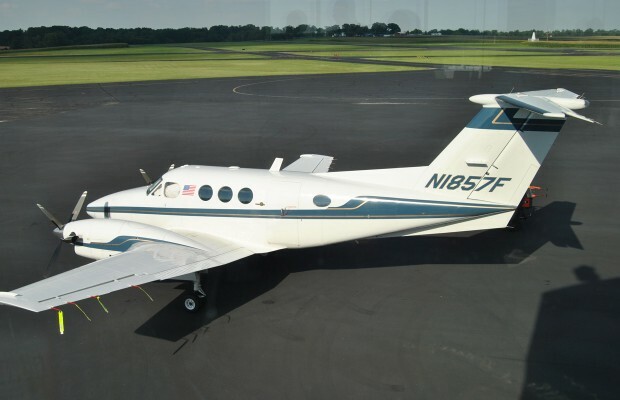 This free event for youth ages 7-17 allows kids to experience what a real pilot does on the ground, then is taken up in the airplane for a short flight from a certified pilot while accompanied by a parent or legal guardian. Registration begins at 9am and is limited to the first 150 participants so be sure to get there early! Spooky Spectacular- – The Spooky Spectacular will take place at The Kleeman Community Center at 166 Cunningham Lane from 3-7pm. Tickets are $5 per person. This is an all ages event with inflatables for the kids, a floating pumpkin patch, DJ, and all sorts of vendors with games and prizes to win. If you enjoyed this event last year, you’ll surely be impressed this year. 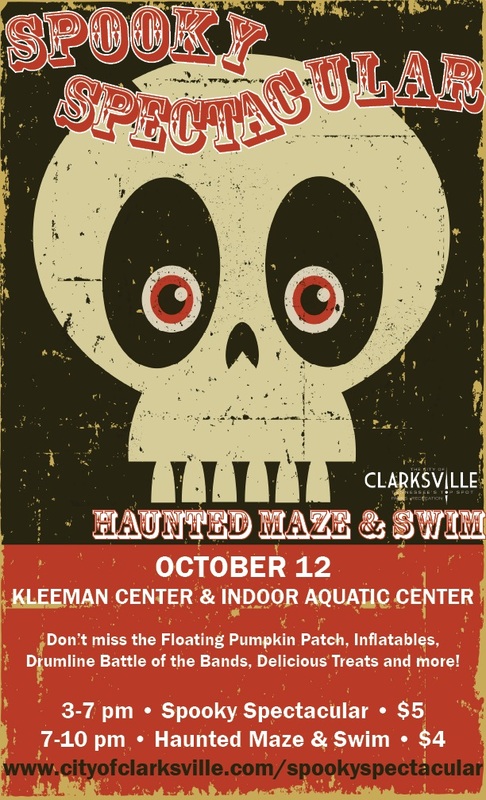 Haunted Maze and Swim – This event will take place right next door from the Spooky Spectacular in the Indoor Aquatic Center at 166 Cunningham Lane from 7-10pm. This event is geared more towards teens and adults due to the frightening nature of the event. Tickets are $4 per person and includes admission to the Haunted Maze and the Haunted Swim. Be sure to bring your swim suits to enjoy this unique event that you’ll not want to miss! Don’t worry about the cold, this event will take place in the indoor pool at the aquatic center. 1940’s Hollywood Variety Show Dinner and Auction – ticket are $75 per person or $500 for a table of 8. 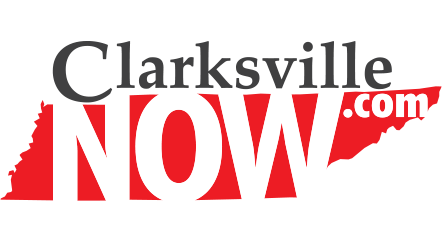 This event will be put on by the Clarksville Sunset Rotary Club to benefit the Clarksville Police Department Youth Coalition Program, Big Brothers Big Sisters of Clarksville, and a scholarship for the APSU music department. Come dressed in your favorite 40’s era garb and enjoy the amazing lineup of entertainment for the evening taking place in the brand new venue inside Miss Lucille’s Marketplace at 2231 Madison Street in Clarksville. This will definitely be a night to remember! 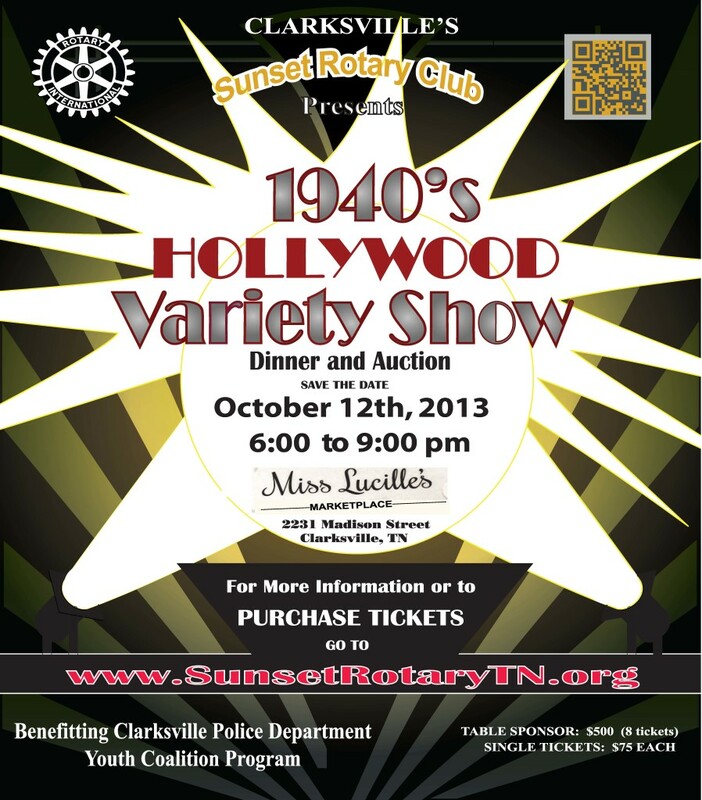 for tickets visit the Clarksville Sunset Rotary Club’s website here. Planning for Next Weekend? 10/19 – Go Commando Health and Fitness Expo, Go Commando 1/2 marathon and 5k, Jazz on the Lawn ft. Flashback, Movies in the Park – Hotel Transylvania & Ghostbusters, Downtown Market. Categories: Clarksville Home Listings, Clarksville Real Estate, Clarksville TN, Clarksville TN Events, Clarksville TN Events Calendar, Homes for Sale Clarksville, Pinterest, Real Estate, Real Estate Clarksville, TN, TN, What's Going On Clarksville | Tags: 1940's Hollywood Variety Show, 2013 Jazz on the Lawn, Beachaven Winery, Chris Sutton, Chris Sutton Realtor, Chris Sutton Reliant Realty, Clarksville, Clarksville Halloween Events 2013, Clarksville Haunted Maze and Swim, Clarksville Sunset Rotary Club, Clarksville Tennessee, clarksville tn events, clarksville tn wine, Downtown Clarksville TN, Downtown Market Clarksville TN, Facebook, Farmers market Clarksville, home run real estate team clarksville tn, Jazz on the lawn, Kleeman Community Center, Manna Cafe, Manna Cafe Pirate Fest and Chili Cook off, Miss Lucille's Marketplace, realtor clarksville tn, Reliant Realty, Reliant Realty ClarksvilleX, Spooky Spectacular | Permalink. 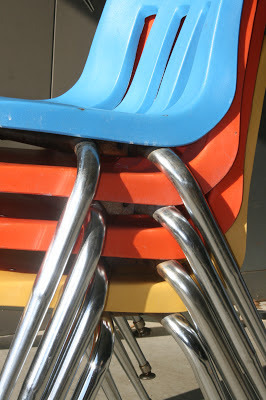 In searching for a good home improvement tip for this week’s blog post, I came across a post from another blogger on Feeding the Birdies blog who revamped those colored, plastic school chairs with chrome legs. 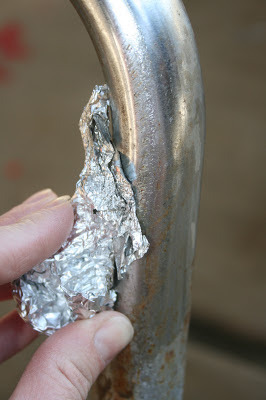 She was able to remove all of the rust with just scraps of aluminum foil and water! Be sure to check out her blog here for more amazing before and after photos. This lead me to do a little more research since after reading this, I began to think about how much elbow grease would have to go into this project to get an iron oxide off with only water and aluminum foil. What I discovered is that while this method does work, usually one would use an acidic solution on the rust first, to eat or strip away some of the iron oxide, then scrub it off with an abrasive substance. Since natural cleaners are all the rage lately (thank goodness! ), I’ve decided to share with you a few natural acidic solutions that I found on wikihow to help remove that pesky red rust from your beautiful metal goods. Squeeze the juice of a lime over the rusted area, sprinkle with salt, and allow mixture to sit for several hours before using the lime peel to scrub off the rust. Categories: Clarksville Home Listings, Clarksville Real Estate, Clarksville TN, Clarksville TN Events, DIY home improvement, Home Maintenance, Homes for Sale Clarksville, Pinterest, Real Estate, Real Estate Clarksville, TN, TN, What's Going On Clarksville | Tags: Chris Sutton, Chris Sutton Home Run Real Estate Team, Chris Sutton Realtor, Chris Sutton Reliant Realty, Clarksville TN, Clarksville TN Home maintenance, clarksville tn realtor, Facebook, feed the birdies blog, home maintenance, home maintenance tips, Home Run Real Estate Team, home run real estate team clarksville tn, Home Run Real Estate Team Facebook, homes for sale Clarksville TN, house listings clarksville tn, Natural rust remover, Pinterest, Reliant Realty, Reliant Realty Clarksville TN, Removing Rust, wikihow | Permalink. 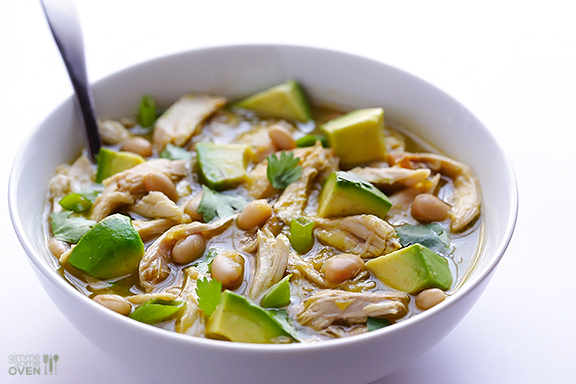 This white chicken chili recipe will be a perfect fit with your week’s menu. It is easy and delicious! This recipe comes from Ali Ebright over at Gimme Some Oven blog. She has some great recipes on here and always posts deliciously vibrant photos of her creations. Be sure to check out her full post here. Thanks, Ali! This Recipe couldn’t be simpler: It only has 5 ingredients! Ali swears that the salsa verde makes this soup and provides almost all of the seasonings needed to make this chili delish! Just combine all of the ingredients in a saucepan, heat until boiling, cover, and reduce to a simmer for 5 minutes. Spoon the goodness into bowls and top with any or all of the toppings: you won’t be disappointed! Categories: Clarksville Home Listings, Clarksville Real Estate, Clarksville TN, Clarksville TN Events, Homes for Sale Clarksville, Pinterest, Real Estate, Real Estate Clarksville, Recipes, What's Going On Clarksville | Tags: 5 ingredient meals, Ali Ebright food blogger, Avocado, Chris Sutton, Chris Sutton Home Run Real Estate Team, Chris Sutton Realtor, Chris Sutton Reliant Realty, Clarksville moms recipe, Clarksville TN, clarksville tn realtor, Clarksville TN recipe, dinner, Facebook, Food, Gimme Some Oven blog, Home Run Real Estate Team, home run real estate team clarksville tn, Home Run Real Estate Team Facebook, Home Run Real Estate Team Pinterest, homes for sale Clarksville TN, house listings clarksville tn, Pinterest, Pinterest Recipe, Recipe of the week, Reliant Realty, Reliant Realty Clarksville TN, What's Cooking Wednesday, White Chicken Chili, White Chili | Permalink. The best thing about this beautiful fall weather is turning off the AC, opening up all the windows and screen doors, and allowing the cool breeze to flow through the house! 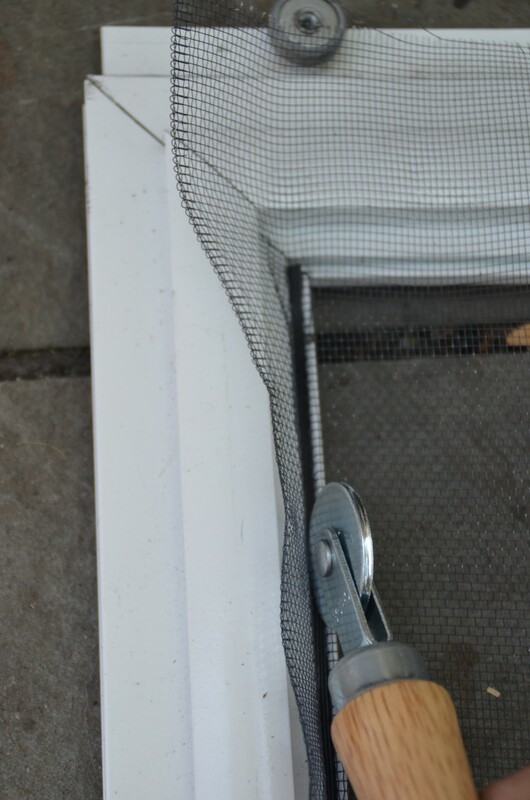 However, if you are like me, your screen door has taken a beating this summer and the screen needs replacing. Whether the damage is from children leaning against the screen, a drunk neighbor walking through it like it was never even there, or in my case, someone closing both the screen door and the glass door so the next time you go to let the dog out, he barrels his 100 lb body through the fragile screen, it is no matter because this is such a easy fix! The whole project will take you less than an hour and cost about $20 or less! So it’s time to forgive the kids, neighbor, or idiot that closed both doors 🙂 and tackle this easy peasy task. Of course, I found this article on Ciburbanity blog via our favorite, handy-dandy Pinterest (What did we do before this site??). Be sure to check out Charlotte’s full article here for a step-by-step photo montage. First, unscrew the screen door and lay it flat on the ground. Wherever the screen in torn, find the spline, and pull. This will release the old screen from the door. Next, lay the new screen over the door frame and make sure that the pattern of the screen is squared up with your frame. 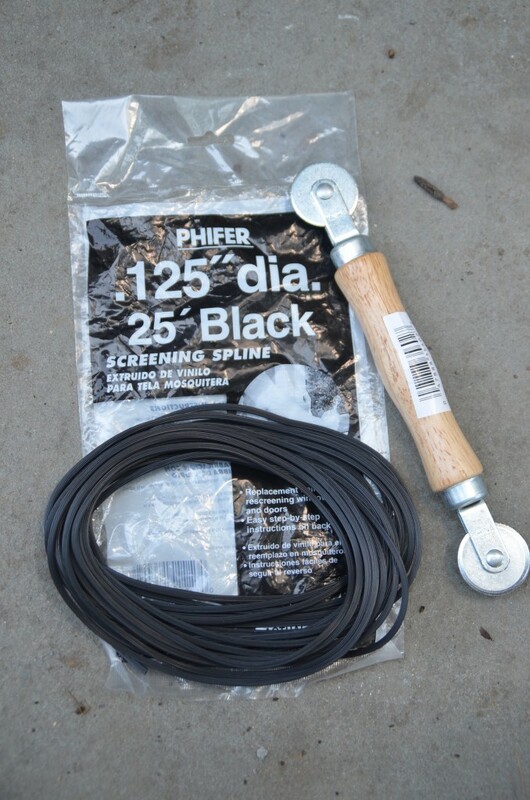 Place the new spline cording over the screen, on top of the spline groove. Then using the spline tool, gently press the spline cord into the groove. Be careful to stay on top of the spline since the tool could slice right through that brand new screen forcing you to start all over. Use the box cutter to remove the excess screen from the edges and voila, you’re done! All you have to do now is reattach the handles and screw the door back into the door rail. Categories: Clarksville Home Listings, Clarksville Real Estate, Clarksville TN, DIY home improvement, Home Maintenance, Homes for Sale Clarksville, Pinterest, Real Estate, Real Estate Clarksville, TN, TN | Tags: Chris Sutton, Chris Sutton Home Run Real Estate Team, Chris Sutton Realtor, Chris Sutton Reliant Realty, Ciburbanity blog, Clarksville TN, Clarksville TN Home maintenance, clarksville tn realtor, DIY Screen door, Facebook, home improvemnent, home maintenance, home maintenance tips, Home Run Real Estate Team, home run real estate team clarksville tn, Home Run Real Estate Team Facebook, homes for sale Clarksville TN, house listings clarksville tn, how to replace a screen door, Pinterest, Reliant Realty, Reliant Realty Clarksville TN, screen door spline cord | Permalink.